These pendants are great in many ways and are both stylish and practical. The fitting can be off-set against your suspension/cable entry point and installed (with the hook included) to your ceiling at what point you require. This is great if you are in a new property and the ceiling point is not where you require. 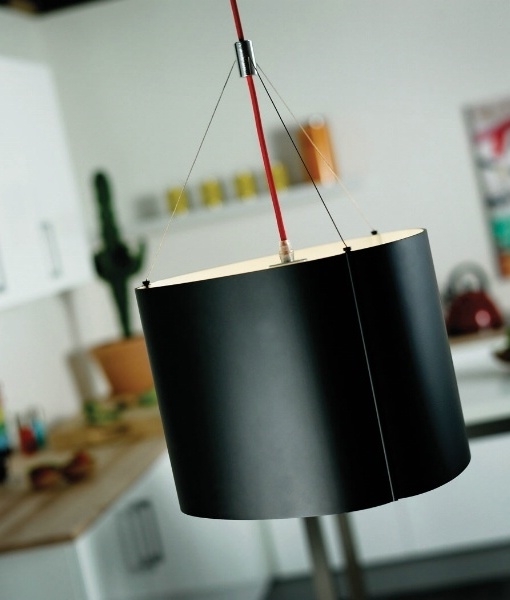 See second image of how this pendant works off-set to the ceiling cable entry point. Choose from two sizes, see below. The ceiling fixings are black and the shade is shiny black on the outside and matt inside with chrome detailing for wire pendant supports. The flex is red and can be shortened at time of installation. Cable length 2900mm, ceiling fixing 830mm x 790mm. 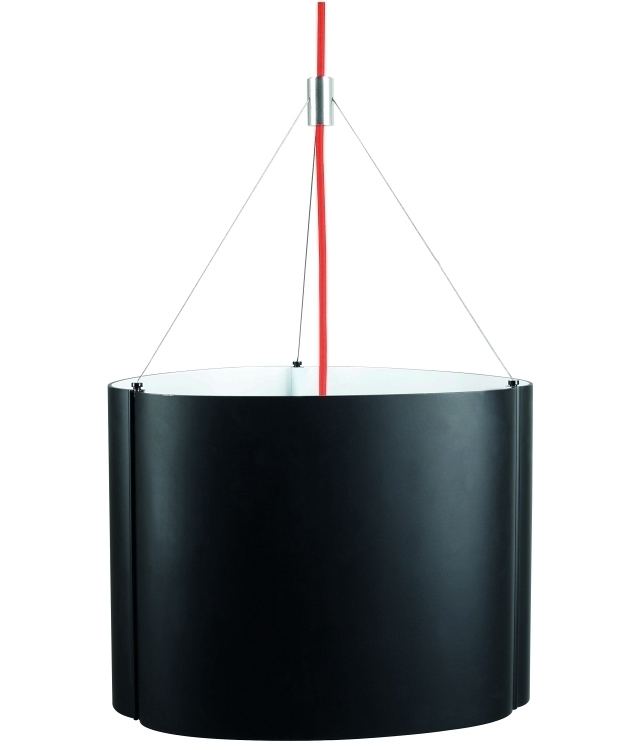 Designed for use with a mains E27 lamp. We have limited stocks but please call us for availability if you require a quantity. 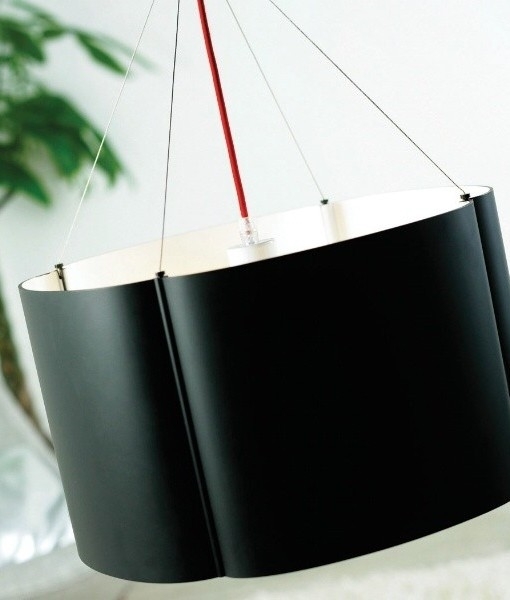 This pendant comes with a hook included, which can be positioned at any point in your ceiling, allowing you to move the shade, in an area that is not the same as the ceiling rose. Just wondering if it is possible to buy these ceiling hooks separately? We need them for one of our projects - all lights have already been purchased. These are the best I have seen! Sorry we couldn`t supply your lighting :o( consider us for the next project :o) Luckily for you we offer just the ceiling support. Just tap "Offset Pendant Accessory" into our search box.